It’s been 4½ years since I bought my System76 laptop, and it is showing its age. Back in 2013, an NVIDIA GT670 MX was a pretty decent laptop graphics card (which meant it couldn’t hold a candle to the desktop graphics cards). But I was able to play Hitman: Absolution, the various Mass Effect games, Tomb Raider and so on on it, and with OK graphics levels and resolutions. Fast forward to 2017, and we have HITMAN, Mass Effect: Andromeda, Assassin’s Creed: Origins, and the 670MX really struggled with them (I don’t have Origins, but it struggled with Unity). And so I decided to upgrade. After casting my net far and wide, I decided against going for a laptop again. My current laptop is functioning pretty much as a desktop1, so I might as well get another desktop. This time around, I decided to go for the best graphics card I could sanely get (so, no Titan). That’s the 1080 Ti at the moment, with 11 GB of GDDR5 graphics memory! I considered System76 once again, which did have models supporting the 1080Ti. But … Dell had a discount going on the Alienware Aurora R7 (Ars Technica review of the 2016 model). After considering the discount, shipping charges and support options (Dell had a good discount going on accidental and on-site support coverage as well), Dell was proving to be cheaper, and I finally opted for it. Ordered, shipped and received in 2 weeks! It came with Windows 10 Pro, and setting it up was pleasant. Logged in with my Microsoft account synced my theme and wallpapers (a nice touch). Set about installing Steam, other software I commonly use on Windows, and, of course, WSL. Installed HITMAN, cranked up the settings to Ultra at 1080p, and ran the benchmark to get an average of ~59 FPS! That’s head and shoulders above whatever the 670MX could do at low-mid graphics. (The min was 4 FPS, but that came from a stutter right at the very beginning). 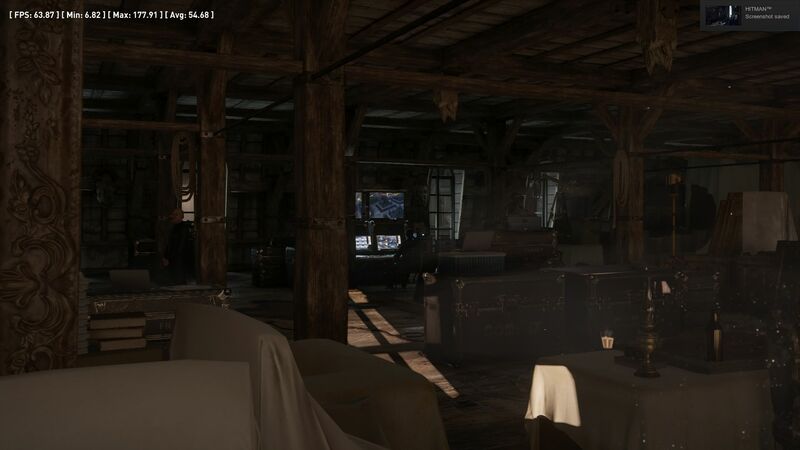 Even discounting the FPS values, the benchmark looked smooth and clear in a way it never did on my laptop. Installed Assassin’s Creed: Unity - no problems with that one either. Of course, my setting up didn’t end there. The main quest was yet to be done: installing Linux. I must admit I had my worries about how well this thing would run Linux. The network card name (Killer?!) didn’t particularly inspire confidence, and that’s where most problems occur in a Linux setup - the LAN, WiFi and Bluetooth. And you don’t often to get hear about people running Linux with a 1080Ti. But if my experience with the 670MX meant anything, graphics wouldn’t be too much of a problem. 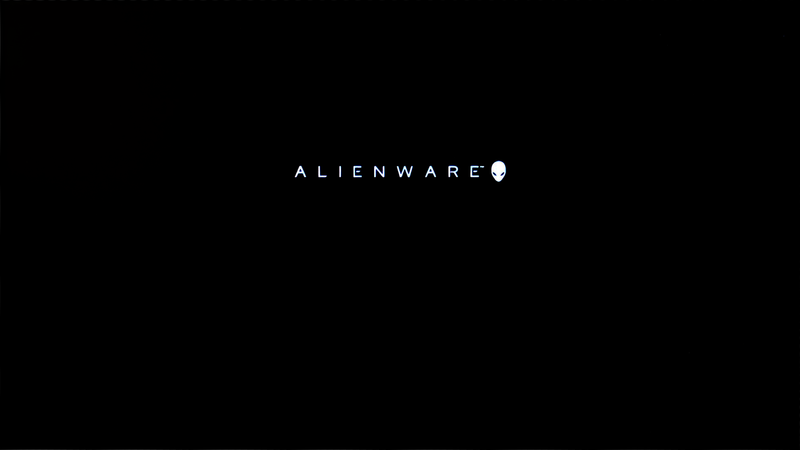 But that’s probably the best bit about the Alienware UEFI setup. The UEFI menu itself is … disappointing. It didn’t support widescreen monitors, and I have seen a few UEFI systems that do, so there’s that. Many UEFI systems also support screenshots, but this one doesn’t. I needed to disable Secure Boot to get Arch to boot, as expected. Disabling Secure Boot enabled legacy boot as well, and the legacy boot splash is somewhat crappy. I didn’t want legacy boot, so I disabled that. Once I selected the USB disk, Arch booted up right quick. Aside from the partitions already present, I added just two. Not even a swap partition. Another upgrade I’d done to my laptop was to add 16 GB RAM to it, for a total of 24 GB. And since then, I noted that swap was never used and I don’t think I have seen it use more than 16 GB RAM. Even if I need swap, I’ll probably use a swap file. No hibernation for me. I’d never heard of “Killer” network cards before, and I didn’t look them up before I ordered, figuring I’d work something out if the card turned out to be poorly supported. But nah, we’ve plain old Qualcomm Atheros here. And the usual steps in the Installation Guide. (I’d accidentally mounted the Windows partition instead of the Linux one on /mnt, but pacstrap is non-destructive, so no harm done). efibootmgr --disk /dev/nvme0n1 --part 1 --create --gpt --label "Arch Linux" --loader /vmlinuz-linux.efi --unicode "$kernel_params"
I got a new UEFI boot entry created and set as default automatically. The command is long-winded enough that I saved it to file in root’s home directory, which turned out to be pretty handy later. Next step was to edit /etc/mkinitcpio.d/linux to get it to create the initramfs files in the locations listed above directly (using the mkinitcpio(2) method from the Arch Wiki). Timezone set, fstab created, hostname set … and reboot! efibootmgr --disk /dev/nvme0n1 --part 1 --create --gpt --label "Arch Linux" --loader /EFI/arch/vmlinuz-linux.efi --unicode "$kernel_params"
Reboot again, and I’m dropped into a TTY. I had installed gnome after all. Of course, I forgot that Arch doesn’t automatically enable services, so logging in, and systemctl enabla --now gdm later, I had … GDM crashing in a loop. I had both my TV and my monitor connected, so I tried disconnecting my TV, which stabilized GNOME and allowed me to login. Turns out GDM itself runs in Wayland, and while Wayland didn’t have problems on a running on a single screen, a dual display setup caused it to crash. And GDM worked fine with dual displays from then on. Logging in, my next point of trouble: no networking! Panicked, I checked ip a and lspci to realise that the devices were detected fine, but I’d forgotten to install NetworkManager. A quick run of dhcpd later, I had network. Later on, vdui2.so couldn’t be loaded. Then curl wasn’t loaded. steam-native still refuses to start, but steam-runtime works well enough. 54 FPS! A 10% drop compared to Windows, but still pretty good for a port. My gaming will no longer be as frustrating as it was before. Who knew an Alienware would be so comfortable for Linux? Besides goof-ups I made because I hadn’t installed Arch in ages and didn’t pay attention to the Wiki, it was a pretty easy install. It would have been easier still if I’d gone for Ubuntu, I suspect. A far cry from some of the laptops I have installed Linux on for friends, maybe the year of the Linux desktop is indeed at hand.